One of the most commonly used elastomers available, Nitrile O-ring cord is a great solution which will give you a versatile material suitable for many uses. Offering excellent resistance to oil-based lubricants and greases as well as good tear resistance, nitrile o rings are a top choice for a wide range of applications. Why choose nitrile O-ring cord? Nitrile rubber, also known as NBR or Buna-N, is a great solution for many applications. Supplied on spools or in lengths to suit your needs, nitrile O-ring cord gives you the flexibility to self-manufacture O-rings to any size, as and when you need them. 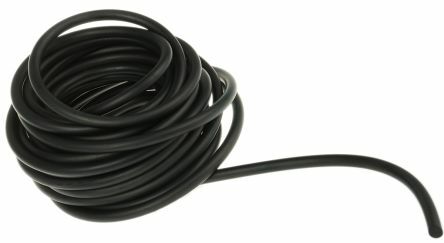 Where is nitrile O-ring cord suitable? Nitrile is a versatile material, suitable for a wide variety of applications. Used in pumps, drive belts, pneumatics and hydraulics, it’s a particularly good choice if the application is likely to come into contact with grease, fats and oils. Nitrile has other desirable properties too, such as low compression set, high resistance to abrasion and good tensile strength. Our nitrile O-ring cord has been supplied to customers in industries as varied as aerospace, marine processes, manufacturing and more. NES can supply nitrile O-ring cord in a range of shore hardness and specialist compounds. Cord can be supplied on a spool or can be cut to length to your specifications. For advice on your choice of o ring cord, or any of our other products, get in touch with our expert team for advice.